Welcome to my book nook. Today’s selection is a fiction by Debbie Macomber. When Susannah Nelson turned eighteen, she said goodbye to her boyfriend, Jake—and never saw him again. She never saw her brother, Doug, again, either. He died unexpectedly that same year. Now, at fifty, Susannah finds herself regretting the paths not taken. Long married, a mother and a teacher, she should be happy. But she feels there’s something missing in her life. Not only that, she’s balancing the demands of an aging mother and a temperamental twenty-year-old daughter. Her mother, Vivian, a recent widow, is having difficulty coping and living alone, so Susannah goes home to Colville, Washington. In returning to her parents’ house, her girlhood friends and the garden she’s always loved, she also returns to the payst—and the choices she made back then. What she discovers is that things are not always as they once seemed. Some paths are dead ends. But some gardens remain beautiful…. 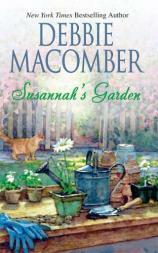 I have read several of Debbie Macomber books (Blossom Street Series) and truly enjoyed them and couldn’t put them down. I felt so drawn to the characters. I did not feel the same about Susannah’s Garden. I did enjoy the book but I didn’t connect with the characters the way I did with her other books. What I liked about the book is how it explored our curiosity with the paths we choose in life. I like that it touched on family dynamics throughout the story. The twists in the story were also a pleasant surprise. Overall an easy read but if you have not read any of Debbie Macomber books this is not the one to start with rather I highly recommended the Blossom Street series which has very rich characters.